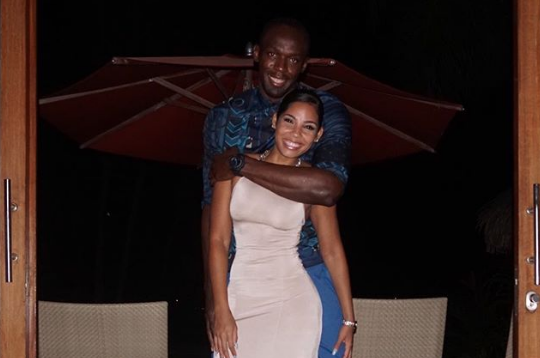 Kasi Bennett and Usain Bolt are no strangers to cheating rumours. Back in 2016, the Jamaican sprint legend infamously made headlines after he was photographed in bed with a Brazilian student following the Summer Olympics in Rio de Janeiro, Brazil. Bolt was then spotted kissing a mystery woman in a Rio nightclub before taking his escapades to the United Kingdom. So how does his longtime girlfriend Kasi Bennett handle the bad publicity around their relationship? – Simple, she just ignores it! Kasi made the statement during her cameo in upcoming Jamaican reality TV series ‘DI Island Girls’ while taking to former Miss Jamaica Universe contestant, Rebecca Silvera about her relationship issues with Rapper The Game. “He [Bolt] is a fellow Jamaica, he is loved so you know yeah……,” she added. Silvera who stars in the series also chimed in saying Bolt said Kasi is the one that tamed him. “He [Usain Bolt] said that Kasi is the one that tamed him, like when he looks at his woman, he’s completely satisfied,” she said. Watch Di Island Girls Trailer Below.